Home / County Politics, News, Videos / Watch an International Journalist grill THERESE MAY with tough questions, He’s not like Githeri Kenyan journalists (VIDEO). Watch an International Journalist grill THERESE MAY with tough questions, He’s not like Githeri Kenyan journalists (VIDEO). 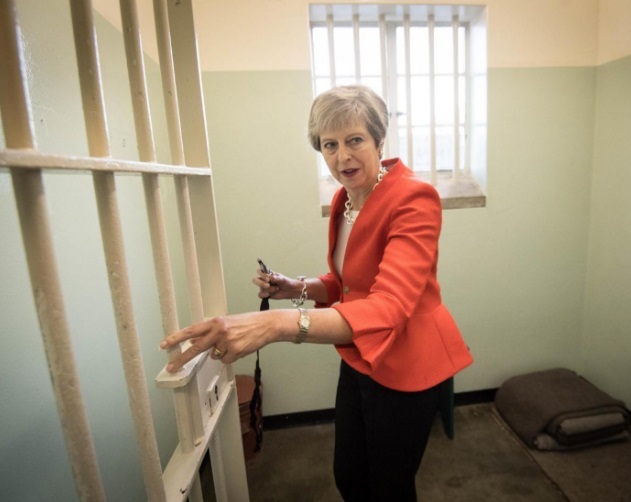 Thursday, August 30, 2018 - UK Prime Minister, Theresa May, was pinned down by respected Channel 4 correspondent, Michael Crick, before her visit to Roben Island where Nelson Mandela was jailed. The no-nonsense journalist asked Theresa May tough questions that nearly made her sweat blood. "What did you do? What did you do? Did you go on protests? Did you get arrested outside the embassy? "Did you boycott South African goods? Did you do anything? At that stage, Mrs Thatcher believed that Nelson Mandela was a terrorist. Were you a loyal Conservative Party member? Did you think the same thing?" 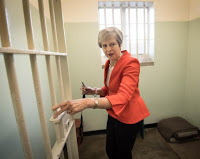 Mr Crick persisted with his relentless questioning, asking Mrs May whether she would feel "guilty" during her visit to Robben Island. Githeri Kenyan journalists should watch this video and learn how to ask tough questions.